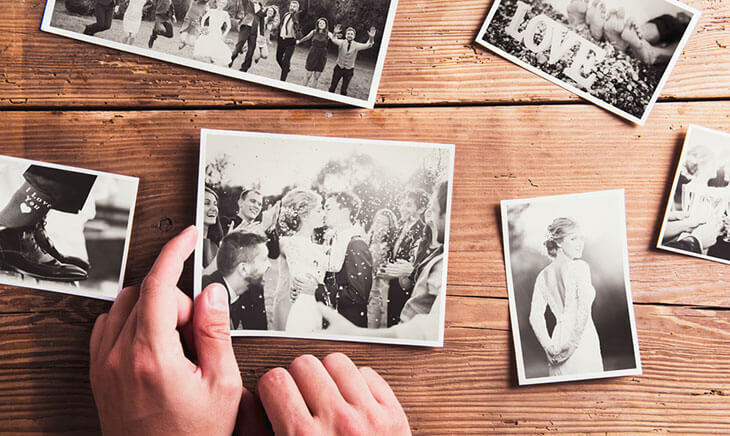 There are millions of treasured photos, taken before the era of digital photography, languishing in shoeboxes or albums. Most of these seemed doomed to obscurity yet are begging to be seen and shared again. Now, new technology means we can save these memories for future generations. Here at The Camera Centre our new Shoebox Photo Scanning Service will save your pictures to 100 year archival CD/DVD. It’s great value and the quality is superb. Each image is scanned at 300dpi which is ideal for quality photographic reproduction at the same size as the originals. We can also scan at 600 and 1200 dpi. Please contact our team for pricing information on our higher resolution scans. As this is a high speed, low cost service it is important that all photographs be prepared for scanning to avoid disappointment. Only loose photos may be scanned, therefore remove all photographs from albums and album pages. Small quantities of photos should be removed from envelopes, although you may place large quantities in envelopes after you have sorted them. Make certain there is no hanging tape or sticky substance on the photographs. Remove all staples, paper clips etc., as these will damage our scanner. Sort pictures by size and direction. We can scan wallet size up to 8x12". Our suggestion is that you bundle each size and direction separately. A 4x6" index card is a handy way to separate your bundles. If a picture is turned sideways or upside down it will be scanned that way. You may want to sort back to front as the scanner feeds the bottom image first. Photographs with data on the back, which you wish to have scanned with the photograph, will need to be sort separately and marked with a predominate note for two sided scanning. Two-sided scanning counts as two pictures. Photographs must be un-mounted (not on any thick backing). Regrettably many Polaroid and Kodak Instant Prints will not scan. These images may be added as standard scans at additional cost. By law we are unable to scan copyrighted images, UNLESS you have a written copyright release from the copyright holder, which is generally the photographer. Usual service time is 3 working days subject to workload. A same day service may be possible at certain times. Please ask our team for details.